SuperSport is A Southafrican Sports TV Channel launched on 1998 Owned by Naspres Broadcast on English Language also Africanas Xhosa,Portuguese and Zulu . The channel formerly called M-Net Supersport. 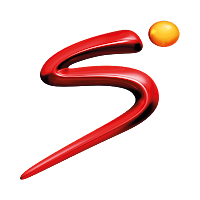 The Channel Supersport Tv Broadcast a variety of Sports events and matches and consist of a groupe of sports channels to couver all sports kinds from football to cricket. You can watch the Super sport channels on TV via satellite transmission where ever you are in Africa from south Africa to Nigeria and Benin. watch your favorite match game on super sport channels by adding those frequencies to your satellite receiver. If you wonder where to watch the match of your favorite team here you will find all frequencies of all the Supersport channels tV onn all Satellite.